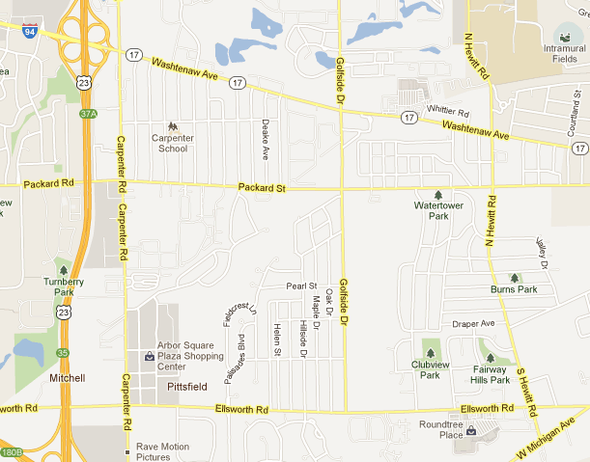 This area of Pittsfield Township saw a busy end to 2011 and start of 2012 before a recent slow down in crime, police said. Three home invasions and one larceny from an unlocked car earlier this month were just the latest incidents in four neighborhoods in Pittsfield Township that have caused police to put residents on alert. However, incidents in the area around the Clubview II, University Palisades, Crystal Creek and Silverleaf subdivisions have seemed to slow down for the time being after Pittsfield Township police began increasing their presence in the neighborhoods. Lt. Sean McCormick said Friday that there is no recent rash of crime in the neighborhoods, situated between Carpenter Road and Hewitt Road to the west and east and Washtenaw Avenue and Ellsworth Road to the north and south. There hasn’t been any break-ins reported in the area in the last week, a strange circumstance after the year started with police and residents on alert following home invasions. Two men working together in the area committed the break-ins, McCormick said. Only jewelry was stolen from the homes, despite TVs and computers being available. A gun was stolen from the unlocked vehicle, he said. The break-ins occurred just days after two American Bulldogs escaped from their owner’s yard and attacked a woman and her two small dogs as they walked in the 3700 block of Maple Drive. The two dogs were mauled and killed on Dec. 27 by the bulldogs and the woman was taken to the hospital for treatment, according to police. The dogs’ owner has since been charged with two counts of having a stray dog, a misdemeanor offense. The neighborhoods in the area have been victimized by multiple break-in incidents in recent weeks and months as well, which Pittsfield Township Deputy Police Chief Gordy Schick said might be leading to feelings of acceptance among area residents. On Dec. 14, a 52-year-old woman and her 22-year-old daughter returned home to their house in the 4900 block of Grandview after a quick shopping trip. As the home’s garage door opened, they could see a man walking through the kitchen toward the front door, according to police. The man began to walk away from the home until the victim yelled at him. The man then came back to the home, pulled a key from his pocket and entered a 2012 Ford Escape that was parked in the garage, loaded with a TV, DVD player and desktop computer, all together worth $5,000. The man drove away in the silver Ford Escape Limited after threatening the residents, police said. Police also arrested Patrick Wiggy Taylor, who has been accused of breaking into multiple homes in the area while the occupants slept, in September. Pittsfield Township police were so intent on arresting Taylor that “Wanted” fliers with his name, photo and information were distributed prior to his arrest. Schick said the department has been working closely with the neighborhood watch in the area, which is very active. He said police department personnel have been going door to door in the neighborhoods to make sure people are on alert, but they’ve been greeted with apathy. Schick said it’s not unusual for more break-ins to occur during the holiday season or winter months as residents go on vacation or retreat to other residences in warmer climates. He encouraged residents to take advantage of the department’s extended vacation service, which allows homeowners to let the department know they’ll be out of town for an extended period of time. Schick said patrols around those residences are increased and can result in potential home invaders staying away from those houses. There are about a dozen homes on the list currently, McCormick said. Mon, Jan 16, 2012 : 5:19 p.m.
Mon, Jan 16, 2012 : 2:59 p.m. Thank you Pittsfield Township Police department. I live in the Arbor Woods Subdivision and I'm glad that the department has stepped up patrols within all of these area's. Seems pretty simple AAPD. Notice an area where there is a sudden uptick in crimes, allocate resources to those area's and create a presence for both residents and criminals to see. I often see patrols in my neighborhood cruising by quite regularly. Mon, Jan 16, 2012 : 2:57 p.m.
Mon, Jan 16, 2012 : 1:46 p.m.
Did you mean to say that reports &quot;decrease&quot; ? Or do you really mean it takes longer to make them? Mon, Jan 16, 2012 : 1:18 p.m.